Vivo was a magazine published between 1966 and 1968. No less then 55 volumes were printed. 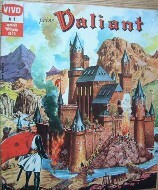 Not only Prince Valaint but also Stingray and Zero X comics were included in the same comicbook. 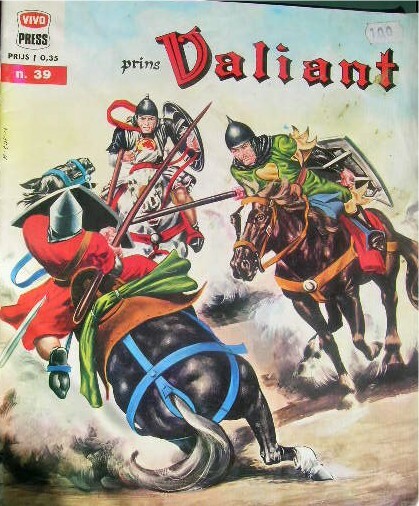 In total 961 pages of Prince Valiant. Vivo was a supermarket chain. Strange enough the numbers 1-12 and 34-55 had an unique cover while the numbers 13-33 had all exactly the same cover (except for the number of the volume; see picture 18 below). Value around 5 Euro's for number one to 3 Euro's for number 34. After that the value is up to 8 Euro each. There is also a Belgium edition of these magazines, see "Nooit gedacht". Serie 1; Dutch Vivo editions.